Unix SHELL Scripting Training in Bangalore offered by Besant Technologies with 100% hands-on practical classes. Our Unix SHELL Scripting Training primarily focuses in getting placement for all. We crafted our course syllabus which gives basic to advanced level of expertise on Unix SHELL Scripting training at end of course. Our Unix SHELL Scripting training syllabus will be enough to appear for certification and interviews confidently. We are more than 100+ trainers working in MNC’s with 7-18+ years of experience on Unix SHELL Scripting technologies. Our Unix SHELL Scripting trainers will help you to build your resume and share their project exposures. By doing Unix SHELL Scripting training in Bangalore with Besant Technologies anyone can become expert if they passionately learn this technology in short time. We at Besant Technologies provide Unix SHELL Scripting training in Bangalore. Our Unix SHELL Scripting Training centres perfectly equipped with all the needed facilities like lab, class rooms, meeting hall and more. We encourage our Unix SHELL Scripting students to appear for certification at end of their course. For record in the last month we successfully trained more than 89+ students in Unix SHELL Scripting technology in our institute. In that almost 90% peoples got better opportunity with our guidance and motivation. When it comes to Unix & SHELL Scripting training course fee we are the very lowest bidders in the market because we are not interested to make serious business out of this training. 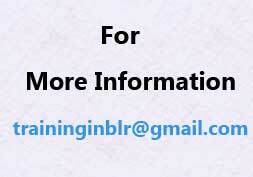 We are conducting Unix SHELL Scripting class room training, Unix SHELL Scripting online training and Unix SHELL Scripting corporate training. We offer fast track and one-to-one training for Unix & SHELL Scripting if requested by participant. We assure that we are giving best of our knowledge for every Unix SHELL Scripting training in Bangalore.